I got more and more this problem, cannot add friends and they cannot add me. please provide IGN and servernr so we can have the problem checked. Hi, do your friends have this icon ticked? 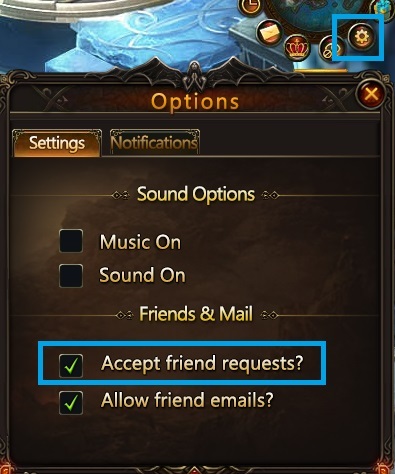 Can be found at the right side System settings and you and your friends need to have this one ticked Accept Friend requests? If it is unticked then you cannot add them and our SMs cannot be sure what is wrong is their system says everything is okay. So please check you and your friends if this window is ticked. Hell yah it was that. TY. But why this box was unchecked if i dont do it manually? 2019-4-20 15:03 GMT+8 , Processed in 0.058170 second(s), 42 queries .